Mac's Preview can be used to rearange pages in a PDF document by simply drag-and-dropping the pages around in the side panel. Is there any equivalent tool for Ubuntu? 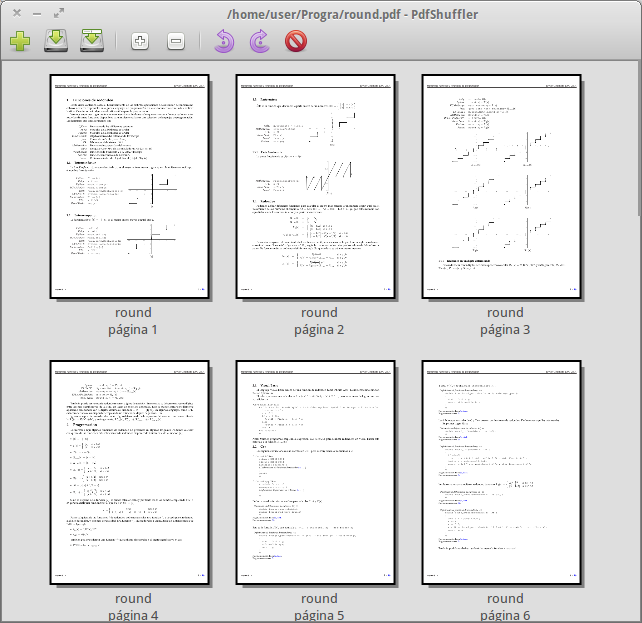 I have noticed, that the Document Viewer, which comes with Ubuntu, also has this nice side panel. However, it cannot be used to manipulate a PDF document. If there is no drag-and-drop solution, what is the easiest way to rearrange pages in a PDF document? As shown in the image, you only have to import the PDF file you want to manipulate and drag & drop the pages in the desired order. It also lets you to rotate the pages in orthogonal angles. You can save it in the same file or export it as a different PDF file. Not the answer you're looking for? Browse other questions tagged pdf editing or ask your own question. How to Merge-and-Reorder Images and PDF pages?